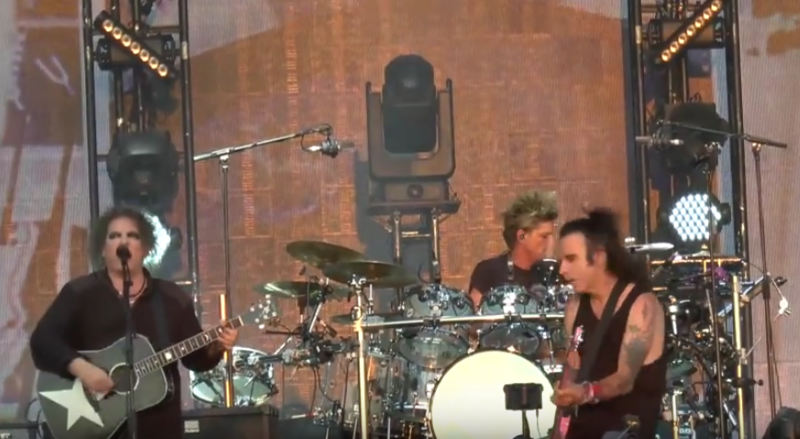 Over the weekend, The Cure headlined the UK’s Summer Time festival in London at Hyde Park, which is just a few days shy of the 40th anniversary of their own live debut. Slicing Up Eyeballs points out that the full concert has been posted online, which finds the band playing a career-spanning set that includes highlights from Disintegration, The Head on the Door and other classic albums. Their encore also included a number of early singles, including “Boys Don’t Cry,” “10:15 Saturday Night,” “Jumping Someone Else’s Train” and “Killing An Arab.” Watch the full set below. The Cure’s goth trilogy is featured on our list of 10 Essential Album Trilogies.